Red Rock Crossing in Sedona, Arizona. 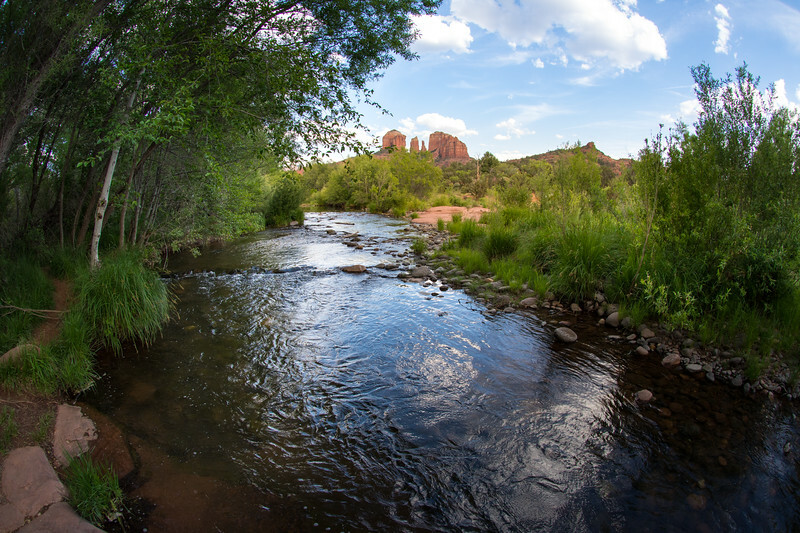 Cathedral Rock is in the background; Oak Creek is the foreground. This is reportedly the most photographed location in the United States.